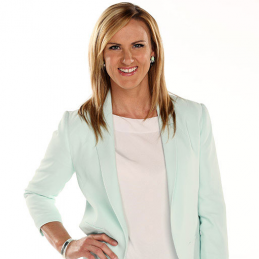 One of Australia’s most recognised sportswomen, Sharelle McMahon appeals to a range of audiences and is an enthralling and motivating speaker. First playing netball at the age of seven in a team coached by her mother, Sharelle debuted in the Australian Under-21 team in 1996 against Jamaica following a run of spectacular performances in the Victorian Under-21 team and has gone on to play for and captain Australia more than 100 times. A three-time Commonwealth Games medallist and a five-time Commonwealth Bank Trophy winner, Sharelle not only captained the Australian Netball team in her fourth Commonwealth Games in Delhi in 2010 but was the Australian flag bearer as well. Sharelle played for the Melbourne Phoenix for 11 seasons (four as captain), and has played and captained the Melbourne Vixens since their inaugural season in 2008. Sharelle led the Vixens to their first ever ANZ Championship over the Adelaide Thunderbirds in 2009. This exciting championship win was topped off with a best on court award and the Vixens best and fairest award. At either Goal Attack or Goal Shooter, Sharelle was ruthless on the court and an exciting player that never ceased to amaze. Having missed the 2012 season while having her first child Sharelle came back to the ANZ Championships and played a pivotal role in helping the Vixens to another finals series. Announcing her retirement in August 2013 Sharelle is now turning her focus to media and coaching. Available for keynote speaking engagements, to MC your corporate or sporting evening or be part of a sporting panel, Sharelle can add that extra something to any event. Sharelle has much experience to draw on and is an engaging and enlightening speaker. Off-court, Sharelle has been part of marketing campaigns as an Ambassador for several major brands including Mother Earth, ANZ and Holden. She has also impressed with her work in the media, particularly as part of the coverage of the ANZ Championship. In November 2015, Sharelle and husband Brek had their second child named Ruby.